Home Celtic Heroes Mini Event! 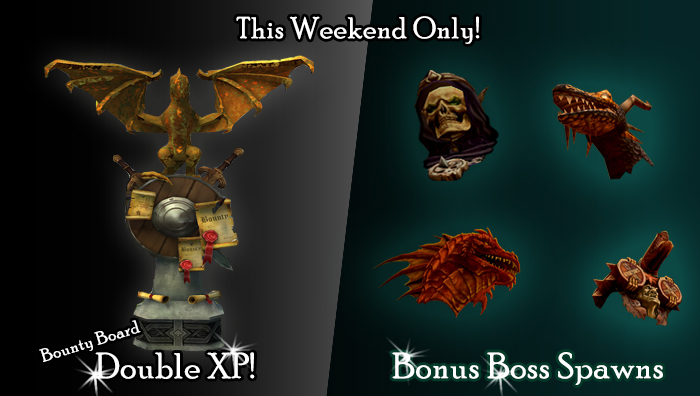 Login and play this weekend to enjoy some extra bonuses! This weekend until Monday 26th there will be a Boss Boost and you can receive double experience from Bounty Board quests! Mordris, Efnisien the Necromancer, Aggragoth and Hrungnir will have 1/3rd of their spawn rate! All bounties including Elites and Beltanes will have Double XP! Have a good weekend heroes! ‹ Samhain: A new trusted steed!